Over the recent years, green tea has possibly been one of the most well studied herbal remedies. It has been linked to a variety of health promoting effects such as thermogenesis and protection from heart disease. There is no doubt that green tea is good for you, but science is only really starting to scratch the surface of the potential of this super food. Green tea is a tea made from the leaves of the plant Camellia sinensis. Although many other teas are made from this same plant, the green tea manufacturing process allows minimal oxidation. This may be the discriminatory factor that gives green tea its many potentially beneficial properties. Green tea originated from China and then spread to many other parts of Asia such as Japan, Korea, Vietnam, and Thailand. In those countries, green tea was used as both a beverage and a traditional medicine. However, over recent years, green tea has also become popular among the western world for its drinking and medicinal qualities. Green tea contains a type of polyphenol (group of plant compounds with health promoting effects) known as catechins. Out of the many catechins found in green tea, epigallocatechin gallate (EGCG) is the most abundant. These are antioxidants and the “active ingredients” of green tea, so to speak. However, there are also a variety of other important nutrients such as vitamins C and E, chromium, zinc, manages, and selenium. Scientific studies exploring the effects of green tea often use green tea extracts, which contain all the catechins. One of the most interesting properties of green tea is its potentially beneficial use for weight and fat loss. Studies have found that after consuming a green tea extract, subjects experienced a 17% increase in lipid oxidation (Venables et al, 2008) and 4% total energy expenditure (Dulloo et al, 1999) compared to those receiving a placebo. Simply put, green tea increased the amount of fat burn and total energy used. Findings such as these are supported by many others. The drinking of four cups of green tea was reported to reduce the body weight of healthy people by almost 1 kg, and body fat by 2.4% in only 14 days. The authors of this study go on to say that this effect may be even more pronounced in the obese (Al-Dukaili et al, 2009). A longer study showed that the consumption of green tea over 12 weeks, along with a controlled diet was able to cause almost double the reduction in body weight and fat mass in comparison to a control (Nagao et al, 2005). I could go on with examples of research supporting green tea as a fat loss aid, but we’ll be here all day, because of the sheer amount of supporting evidence. Some might argue that the thermogenic properties of green tea is due to its caffeine content. However, it has been shown that when given equal amounts of caffeine, people do not experience the same level of thermogenesis (Dulloo et al, 1999). There are many risk factors associated with heart disease, such as high blood pressure and high cholesterol. In many of the above mentioned studies, these factors were also investigated. It has been found that along with weight loss, subjects given green tea also experienced reductions in blood pressure (Al-Dukaili et al, 2009) as well as decreasing total and bad LDL cholesterol, possibly be reducing cholesterol absorption (Al-Dukaili et al, 2009; Kim et al, 2011). Green tea is well tolerated and often consumed in large quantities (over a litre a day) among millions of people worldwide. However, there are some things you should take note of. The most obvious one is caffeine. If you are sensitive to caffeine, it may be a good idea to avoid green tea products before bed. Some mild side effects have been reported in small groups of people from consuming large amounts of green tea (8 to 16 cups a day). These mainly relate to digestive complaints (Chow et al, 2003). It may help to reduce side effects if green tea is not consumed on an empty stomach. There have also been some reported cases of green tea interfering with the action of some anti-cancer drugs, and has also been recommended that pregnant women should avoid green tea. It is important to keep in mind that green tea extracts are more concentrated than the beverage. Therefore it is wise to remain within the product's recommended dosage. A recent study has shown that protein may actually inhibit the absorption of EGCG and other catechins in green tea (Egert et al, 2013). For this reason, it may be a good idea to separte green tea and protein from being consumed together if you wish to get the most out of your green tea. Given that high protein diets are common for bodybuilders and those wishing to burn fat, this may pose a challenge. Generally, studies performed on green tea have employed fairly concentrated doses. These range anywhere between 90 to 800 mg catechins. This equates to a lot of tea. Portions can be broken up and taken with meals, up to three times a day. It has recently been shown that catechins may be up to 3 times better absorbed when taken along side citric acid (lemon/organe juice), vitamin C, and xylitol (an artificial sweetener) (Shim et al, 2011). Obviously, you can get green tea extract from drinking green tea. However, green tea supplements may be more practical and convenient for you. These can be found as a stand-alone supplement, or in fat burners and fat loss protein powders. There are a few things to take note of, firstly, the amount of catechin in the product is often not specified, and it is this ingredient that has all the beneficial effects. Furthermore, in fat loss mixtures, green tea is very rarely the sole ingredient. So you need to consider that although the concentration of catechins may be low, they are also working in conjunction with the cocktail of other weight loss ingredients in the product. Green tea extracts go well together with other fat loss products like fat loss proteins and fat metabolisers. 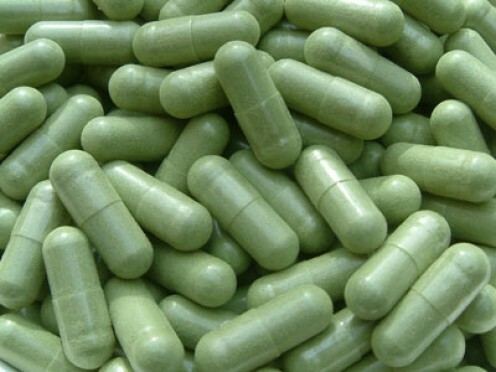 However, if you are already using a powerful thermogenic supplement, or a fat loss supplement with high amounts of green tea extract it may not be a good idea to stack that with a full strength green tea extract. Also, knowing the increased absorbablity of green tea in the presence of vitamin C and citric acid, taking the supplement with a vitamin C supplement or orange juice may be beneficial.